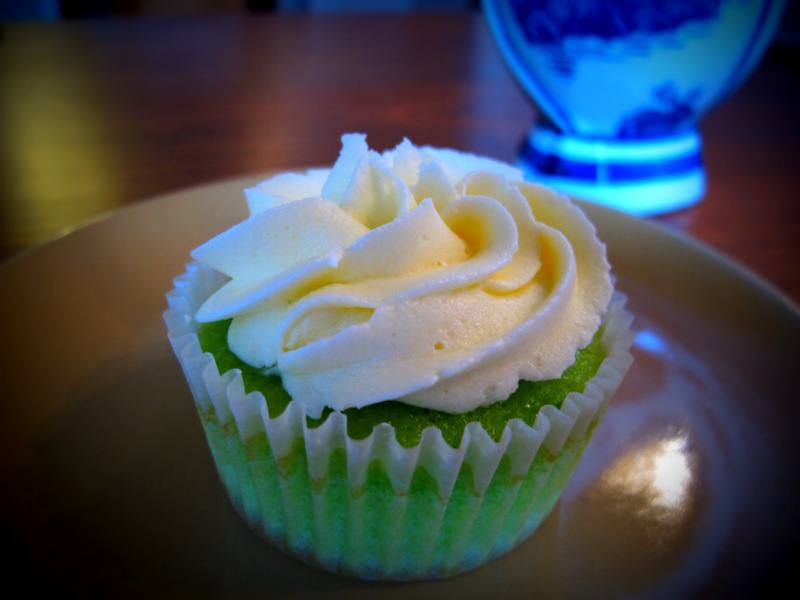 This cupcake uses a flavour combination quintessential to Indonesian sweets – pandan, gula melaka (palm sugar) and coconut. 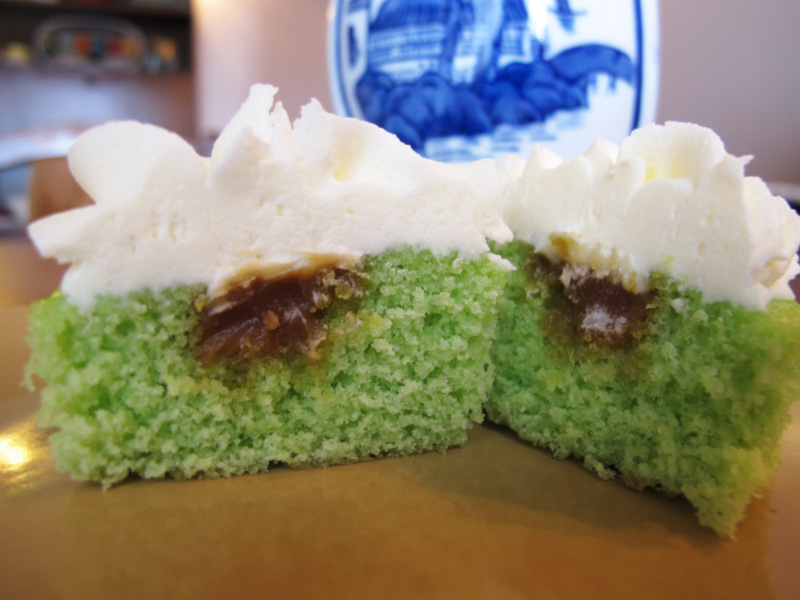 Pandan is still a relatively unknown flavour to the Western palate. It comes from the leaves of the pandanus plant, which have a soft, aromatic coconut flavour. NB: Pandan is available from most Asian supermarkets. You could opt to use 2 Tablespoons of either the essence or the flavouring, but combining the two gives the best balance of flavour and colour. NB: If you are planning to pipe your icing, rather than spread it with a knife/spatula, I’d recommend doubling the amount of icing. Preheat oven to 180˚C and line muffin/cupcake trays with cases. Add the eggs and mix slowly until just combined. Sift flour, baking powder and salt into the bowl and mix lightly. 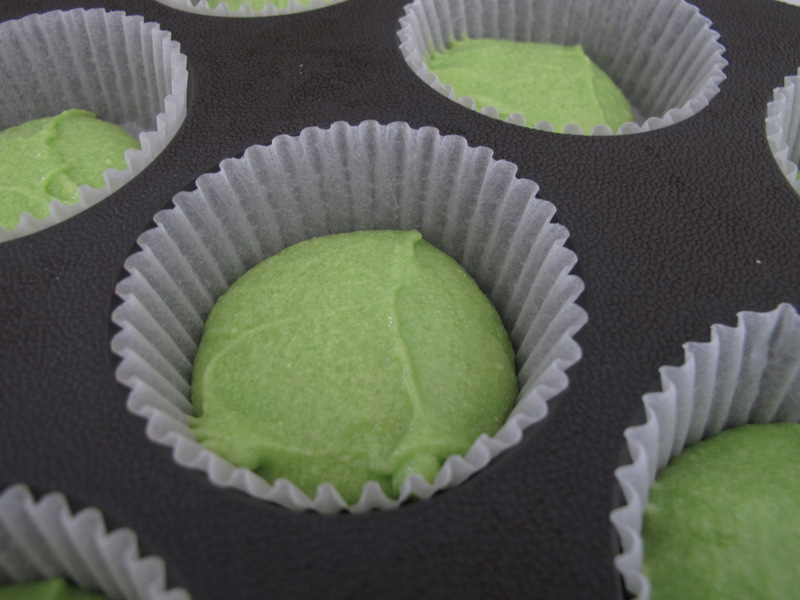 Add milk, pandan essence and pandan extract, then mix gently until colour is distributed evenly. 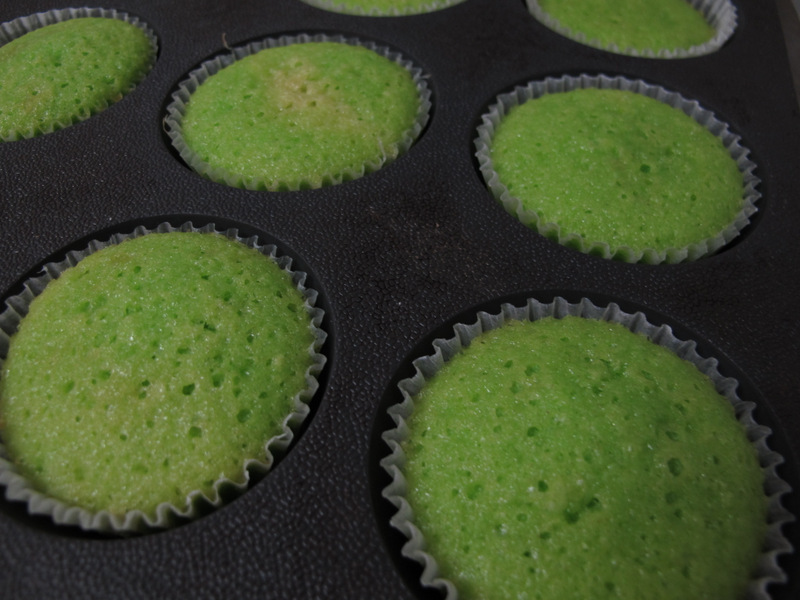 Half fill each cupcake case , then bake for 15-20 minutes or until a skewer inserted into the cakes comes out clean. Put sugar in a clean, dry saucepan and melt it over a medium heat. Do not stir until half the sugar is melted. NB: It will be very hot. Be careful – and don’t use plastic utensils! When the sugar turns a dark golden colour, take off the heat. Add butter and stir until it is melted. Add cream and stir quickly until the caramel is smooth. Allow to cool completely – it will thicken substantially. Beat butter until soft and pale, then add coconut milk. Add icing sugar a little at a time, beating until smooth. When cupcakes and caramel are completely cool, it’s time to get filling. This can be done in two ways: cutting a hole out of the top of the cupcake (use the bottom of an icing tip, an apple corer or a small knife) and using a piping bag to put the caramel in, or fitting your piping bag with a narrow tip and putting it directly into the middle of the cupcake. 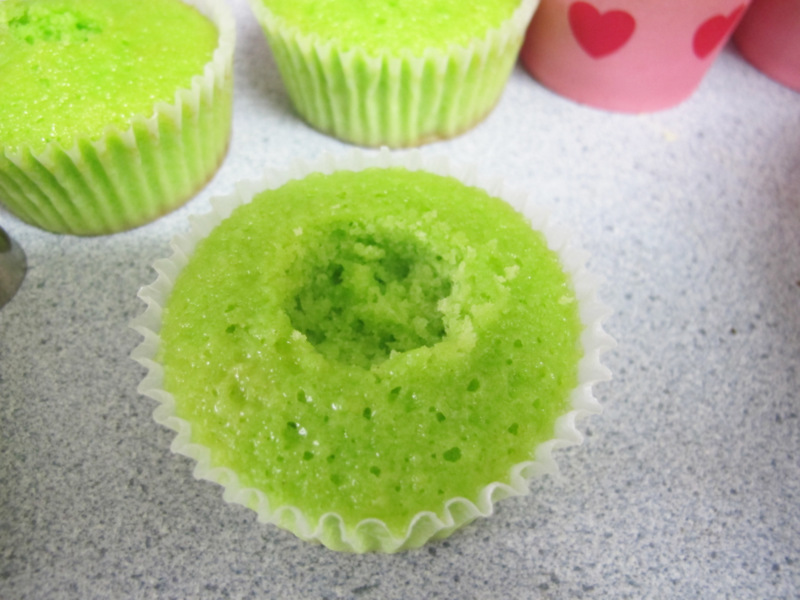 If you choose the second method, be careful not to overfill or your cakes will burst! This recipe originally appeared on thebakingof. Does a food critic ever have to cook?